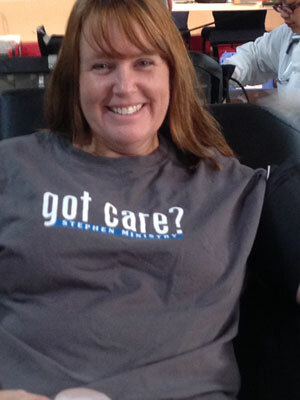 Susan spotted this nice girl who had just donated blood at the local neighborhood blood drive. Here shirt seems to be advertising Stephen Ministries. October 2013.